Organisations were invited to apply for a grant to fund an innovative primary healthcare project that aligned with Sydney North Health Network’s (SNPHN’s) strategic objectives. The objectives include building primary healthcare capacity; service transformation; or meeting an identified health population need through commissioning. An amazing forty eight (48) submissions were received. “It was wonderful to see the number of primary healthcare stakeholders that engaged with us during this process and submitted a proposal. On this occasion, we were able to fund six projects that met the criteria and persuasively demonstrated an improvement in the expected outcomes for a patient, population or at a health system level,” said Sydney North Health Network’s CEO, Lynelle Hales. The six projects awarded a grant included a range of public, private and not-for-profit organisations. A dedicated Men’s Health Clinic in Macquarie Park will provide a male friendly whole-of-health and wellbeing service with access to general practitioners, allied health professionals, specialists, as well as imaging and pathology services all in the one place. An initiative of MQ Health (Macquarie University Health Sciences Centre), the new Men’s Health clinic hopes to meet the needs of male patients who generally have poorer health outcomes particularly in the areas of coronary heart disease, diabetes, and mental health. Most of these conditions are preventable, and with timely and effective health interventions longevity can be improved. Consumers and Peers working, volunteering or aspiring to work in mental health services and with a lived experience of mental health illness, will have the opportunity to benefit from a workforce development project. An initiative of the Northern Sydney Local Health District and partners, the project will provide three forums in 2017 whereby participants will meet together to share their experiences, provide support and receive training and mentorship to improve their professional development. National standards and national and state government policy for mental health services supports an active and involved consumer/peer workforce in mental health services. The ‘Wellnet’ integrated care programs from Sonic Clinical Services Pty Ltd, are built on an evidence based framework of delivering a GP led, patient-centred healthcare home. The programs provide a suite of targeted healthcare interventions for patients with complex conditions in a stepped approach, providing care through the patients regular GP. The program offers a proactive approach to delivering care and will include risk stratification of patients, care planning, care coordination, electronic health records, after hours support and targeted patient centred care with a view to create a sustainable model that both public and private healthcare partners can support. The aim of the program will be to deliver a chronic care management system for GPs nationally. The Hornsby Hospital and Hornsby GP Unit will join forces to co-design and co-deliver a patient-centred transfer of care model between the hospital and general practice that will enhance the older and complex patient’s journey between leaving hospital and returning to the community. Improvements in patient safety, patient satisfaction as well as a reduction in patient re-admissions to hospital will be considered successful outcomes of the project. A literature review and patient led qualitative and quantitative study that examines the transition of care of patients discharged from the hospital to the Hornsby GP Unit will inform the development of the model. 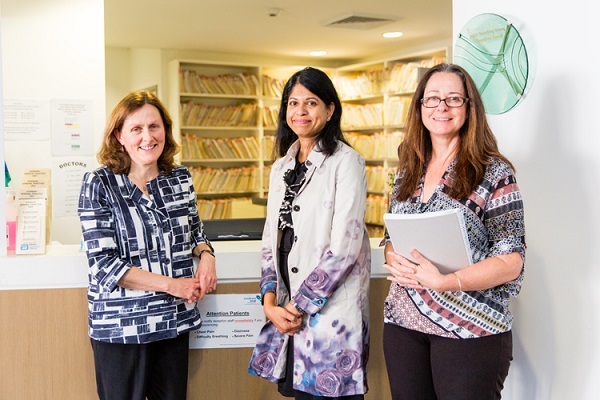 MC Family Medical Practice in Pennant Hills will adapt the ACI (Agency of Clinical Innovation) Chronic Disease Management Model to meet the needs of its at risk patients. The model will identify patients at risk of chronic disease, stratify their risk with the PENCAT (clinical audit tool) and target care appropriately. The practice will also employ other innovative features for these patients including the use of exercise tracking devices, health coaching from local allied health providers and patient education evenings. To assist with building capacity within the Primary Care team a Chronic Disease Manager and Practice Nurse will act as Care Coordinators and be instrumental in the delivery of this new model of care for patients. A membership based network of GPs, the Manly Warringah Divisions of Practice, will benefit from new educational opportunities in 2017. The education will help broaden the GPs knowledge of services available in the Northern Sydney region and provide continuing professional development (CPD) opportunities for the group to improve health outcomes for the Northern beaches community.